Posted in Tour de France. Meet our new special edition sample pack. We made it to celebrate the Tour de France - specifically, the bit of the Tour which is coming to Yorkshire. Le Grand Départ sets off from our doorstep (pretty much) on July 5 and we've signed up to be its Official Tea Partner. Because all good events need one of those. And we’ll have two Yorkshire Tea vehicles travelling the route before the race, throwing out these sample boxes of tea to the crowd. We’re also giving away a year’s supply of Yorkshire Tea to 30 people. We’ve got 10 prize packs to give away on each of the three days the Tour de France is in the UK – July 5, 6 and 7. 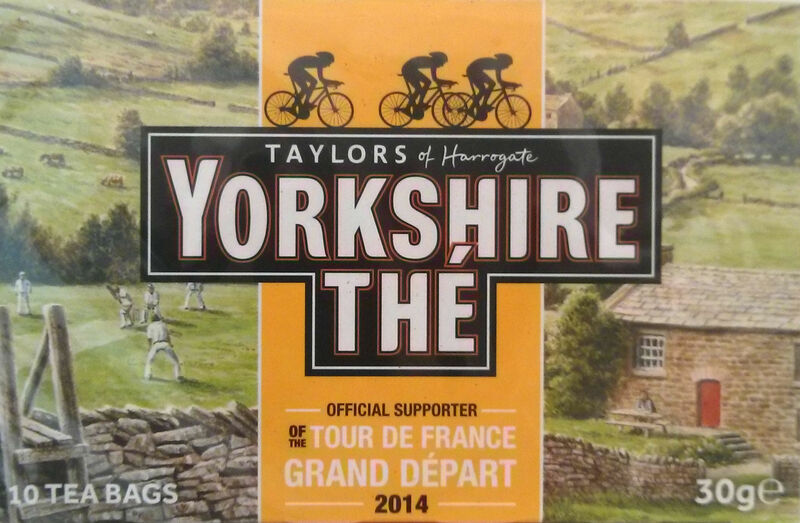 To enter, you’ll need to get your hands on one of these lovely packs – and then tweet #teaonletour with a picture of you holding it. And that's it - see you on Le Tour!